I like to listen to The Herd on ESPN Radio, so I had heard Jim Harbaugh's name mentioned in the list of top college coaches when he was at Stanford. But it wasn't until his aggressive post-game handshake as the head coach of the San Francisco 49ers that Jim Harbaugh's style piqued my interest. Nine weeks into the 2011 season - his first season as the team's head coach - he had led them to an 8-1 record. The team was 14-18 in the two seasons before Harbaugh got there, and they were 37-73 in the seven seasons that preceded him. They are 27-8-1 since he came to town. My first thought was that he is obviously passionate about the game. His passion, then, must be rubbing off on the players and they play better as a result of their being more passionate, committed, and focused. But Mike Singletary had been passionate during his time as the head coach of the 49ers (2008-2010). Remember when he mooned his own players in the locker room during halftime? He said, "I used my pants to illustrate that we were getting our tails whipped on Sunday and how humiliating that should feel for all of us". In Singletary's post-game rant about Vernon Davis (which Davis now credits for turning around his career), he clearly put his passion on display when he stated, "I want winners. I want people that want to win." Even so, Singletary didn't win. Harbaugh is winning. So there must be more to the story than just passion for the game and desire to win. I remember reading The Five Dysfunctions of a Team by Patrick Lencioni. I started reading that book shortly after I had left a position several years ago. When I finished, I told my wife that it was as if Lencioni had been a fly on the wall in our offices! Having played baseball in college, I can also say that the five dysfunctions that are named in the book apply just as much on the playing field as they do in the board room. 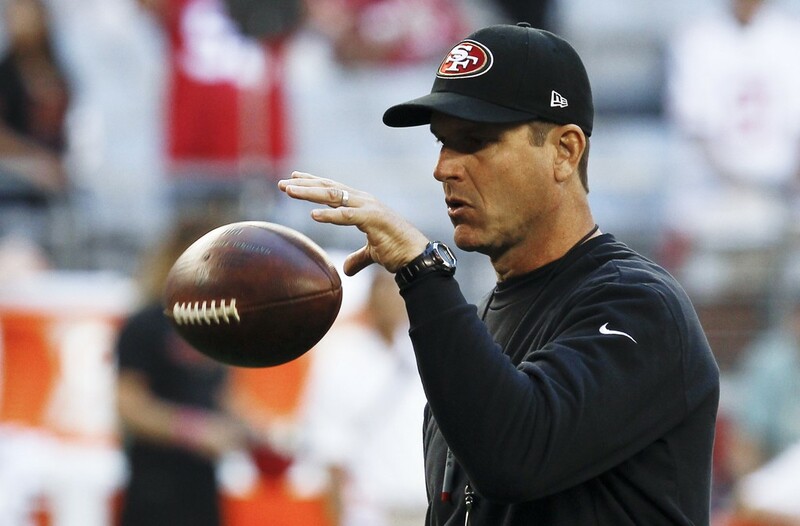 So I think that Jim Harbaugh turned the 49ers around by dismantling and eliminating the five dysfunctions of a team. and replacing it with openness and honesty that admits mistakes and asks for help. and replacing it with constructive arguments about the best way forward and the best way to get there. and replacing it with clear goals and priorities that move everyone in the same direction. and replacing it with regular reviews to hold people to the high standards that have been set. and replacing it with praise of those who exceed expectations and contribute to the success of the team. Even though I think that John Harbaugh and the Baltimore Ravens will defeat Jim Harbaugh and the San Francisco 49ers in Super Bowl XLVII, the great success that Jim Harbaugh has brought to such a struggling organization in such a short amount of time is certainly worth learning from. Does your team have any of these dysfunctions? How can you eliminate them to form a stronger team going forward? great post, Trevor. Lencioni delves much deeper into those areas as well in his book "The Advantage." This is great stuff man. I just blogged on this yesterday, actually, but you take a bit deeper which i appreciate greatly! nice work bro. i'm going to go back and add a link to this blog on my blog post on this issue. I've been thinking about the difference between Harbaugh and Singletary for several months. It was only the other day that the Lencioni connection popped into my head. I'm headed over to your site right now to check out your take on the "Harbaugh Effect."